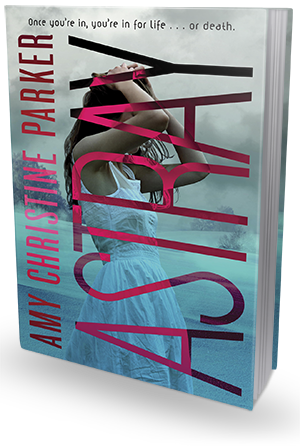 Suspenseful and chilling, Astray is Amy Christine Parker’s nerve-fraying sequel to Gated. This fast-paced psychological thriller is masterfully plotted and sure to leave goose bumps. Perfect for fans of creepy YA thrillers and contemporary fiction alike. It’s been a month since the world was supposed to end. By now you’d think I wouldn’t wake up every morning in a panic with the Community’s alarm echoing in my ears and my breath coming so fast that I’m not actually taking in any oxygen. I want this day to be over. I fold my arms across my chest as the bitter air stings my face and hands. I stare out at the crowd and then look beyond them, to the woods out past the fence, trying to distract myself by focusing on the trees. I won’t lose control and cry. Not now. Not ever. I bite my lip hard, hoping that the pain will keep the tears pooling in my eyes from overflowing. Keep it together, Lyla. I wish I could tell you that everything that your Pioneer told you about people being cruel was wrong. But I can’t do that either. The truth is that everyone has the potential to be good or bad. "I’m not trying to take your beliefs away from you. Really. All I’m asking is that you consider why you believe them.” Her eyes rest on me. “Questions aren’t bad, in fact they’re necessary when you’re trying to figure out just exactly what you stand for." Cody wants me to be happy here with him. And I want to be that. Happy. I need to be. Otherwise, all that’s happened was for nothing. 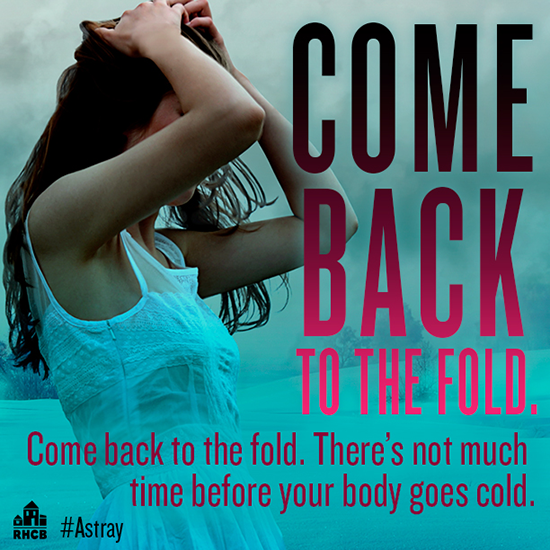 Astray, the sequel to Gated, was, in many ways, even more intense and riveting than the first novel. I enjoyed Gated quite a lot, but ultimately, Astray has made an even bigger impression on me. Parts of it were creepy (even downright bone-chilling), other parts really sad and gut-wrenching, and I think it is safe to say that if you read and enjoyed Gated, you should be ordering your copy of Astray ASAP, for it is a beautifully plotted, emotionally gutting gem of a psychological thriller. One month has passed since the fatal events of Pioneer's "End of the World" and Lyla is still dealing with the psychological aftermath of it all. The fear and anxiety are deeply rooted in her soul and she still wakes up screaming, expecting to be dragged away and locked in an underground bunker. Worst of all, she feels lost, confused and completely out of place in the "outside world", still struggling to make sense of everything that happened and second guessing herself. (I don’t know what’s worse, the fact that Past Me was nodding right along with everyone else … or the fact that Present Me still has an inexplicable urge to. My brain feels like it’s split in half and Past Me and Present Me haven’t decided who’s in charge yet.) While she's trying to recover and start a new life, Lyla is staying with Cody and his family, separated (temporarily) from her own parents who are still unable to see reason and accept that Pioneer is not, in fact, a messiah, but a violent, twisted, manipulative, power-greedy murderer. "I am a miracle. I am the messiah. After seeing what I’ve survived, how could you possibly believe otherwise? The wicked-minded leader of Mandrodage Meadows, Pioneer, has miraculously survived getting shot by Lyla and he is now on trial for all the crimes he committed. But even after all he's done, he still has the support of his followers. They still believe in him, still see the Messiah in him and are still willing to sacrifice themselves for him. All except one person: Lyla. And that makes her not only an outsider, but a traitor. 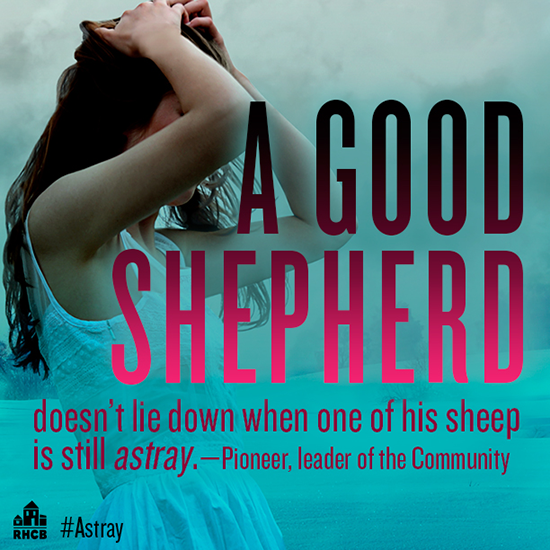 A sheep that went astray. And even though she has left the Community, she is not free of them, for they will never stop trying to make her come back. It isn't often that I come across a sequel that is not only equally well written and interesting to read as the first book, but it actually manages to surpass it in many ways. Astray is that kind of book. I feel that Parker's writing - already accomplished and captivating in Gated - got even better in this installment. The story got more depth, the characters - more complexity. The prose was more descriptive, but the plot line was also better paced, and while big part of the mystery was gone, the book was no less disturbing and haunting than the previous one. Parker is a strong literary voice, and one that obviously has something intelligent to say. She deftly explores issues of family, community, faith, identity and belonging, and she does it with remarkable sensitivity and honesty. I found Astray to be very thoughtful, disquieting and emotionally riveting. I couldn't help but try to put myself in Lyla's shoes and see the world from her perspective. What I saw was a scary and lonely place, full of strangers and danger, a world just as welcoming and full of possibilities, as it is judgmental, unforgiving and cruel. Parker did an amazing job evoking Lyla's feelings and capturing her thoughts, hopes and fears in all their heartbreaking glory. Her desperate need to belong, to be accepted, to know that what she did was right. Without a doubt, I was more invested in her story than I was while reading the first part. Again, if you read and enjoyed Gated, don't hesitate to pick up Astray. It is an absolute must read. 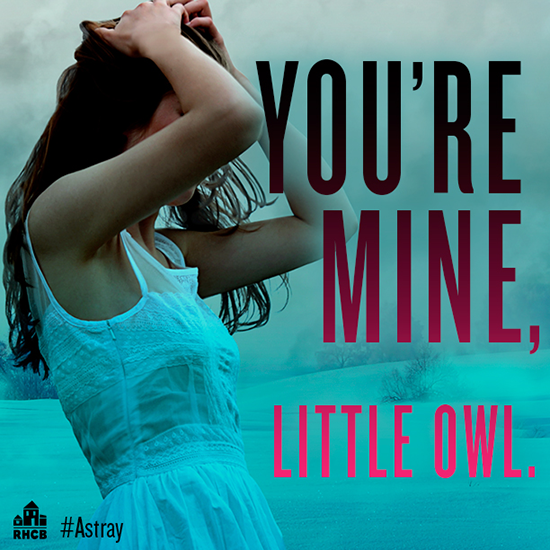 Thanks to the wonderful Sadie and Random House Childrens we have one hardcover copy of Astray up for grabs today!